This product is an employee attendance, evaluation & performance calendar. CALENDAR (Front): The calendar is an "at-a-glance" attendance record, custom printed for each employee! 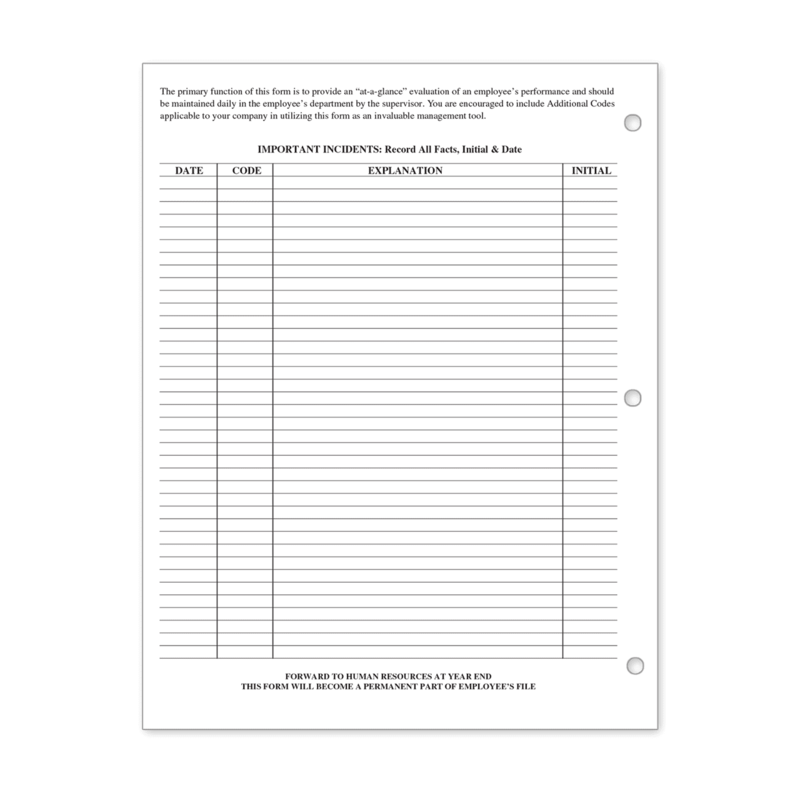 IMPORTANT INCIDENTS (Back): The form is for supervisors to evaluate and record employee incidents (Record Facts, Initial and Date). TO ORDER: Please download our Excel spreadsheet and provide us with your list of employees; Employee Name, Date of Hire, Employee Address and Social Security Number (last 4 digits only). Once we receive your list, your ADP Employee Attendance Record Calendars will be custom printed for each employee. The primary function of this product is to provide an “at-a-glance” evaluation of an employee’s performance and should be maintained daily in the employee’s department by the supervisor. You are encouraged to include Additional Codes applicable to your company in utilizing this form as an invaluable management tool.